Last spring I purchased my first kimono. I got engaged and we thought that we might go abroad after the wedding. I had liked kimonos before but despaired at wearing one, because I couldn’t do it. Besides, nobody else around me was wearing a kimono. Finally, we decided to go abroad, and when I was thinking about something I could do, I remembered that I had been interested in kimonos before. I realised that I wanted to wear a kimono overseas, and knew that if I didn’t do it, I would regret it. So I began wearing a kimono. Unfortunately, as I was a noviceI wasn’t able to wear a kimono neatly or tie an obi well yet. Despite this, I thought, it would be good for me to just start wearing one. This was when I began to wear a kimono by myself. I also found some kimono friends. 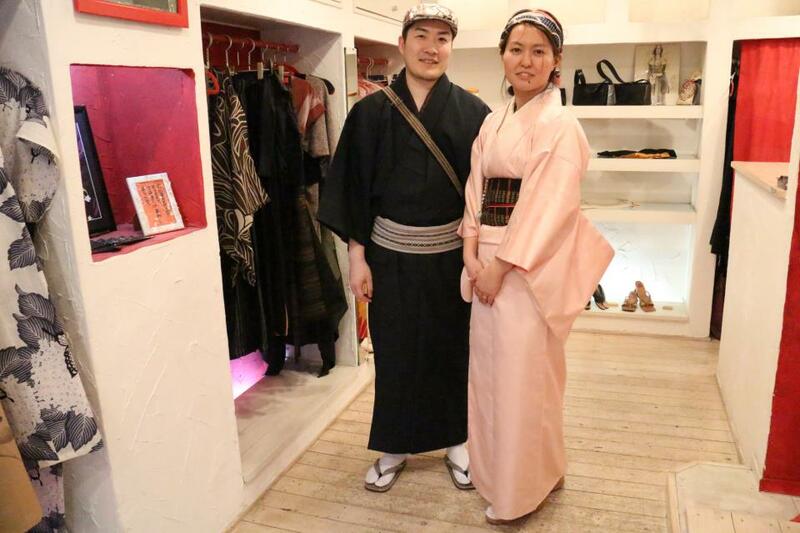 I met some of my kimono friends online and also got to know the kimonos shop owner, who taught me about kimonos, and as a result, my knowledge about kimonos increased. The Kimono world is very deep and full of new discoveries. I wish that I had started wearing a kimono earlier.